• Wishmaker Casino Review - A Nicely Designed Casino? Any casino that claims to make wishes come true has to be approached with a certain amount of caution. 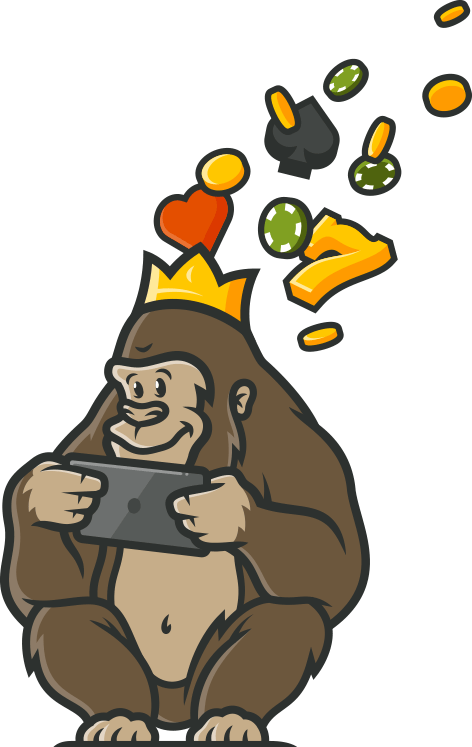 After all, that is a pretty big claim for an online casino, and so the Casino Gorilla is ready to do a thorough investigation of the new Wishmaker Casino. The way this casino aims to fulfil dreams is by giving out Wish Coins to reward players for using the site, and then allowing them to use these coins in the Wish Factory. The site also boasts over a thousand great real money casino games, giving players further opportunities to spin their way to a dreamy success. Players from the UK can take advantage of a 100% matching deposit bonus to a maximum of £100. To take advantage of this offer from Wishmaker you must make a deposit of at least £10 within 21 days of registering with the site. Your first deposit will be matched to that maximum of £100 and you can use it to play on any games on the site. There is a – very reasonable – wagering requirement of 35 times your bonus, which you must complete before you can make a withdrawal of bonus or winnings. At Wishmaker Casino you are given ‘Wish’ spins, but in reality, there is nothing particularly special about these. If you register and make a deposit of at least a tenner within 21 days you will qualify to receive 100 of these free spins, released in batches of 20 over 5 days. These wish spins will be playable on the hugely popular Book of Dead slot game. Anything you win from using these wish spins must be wagered 35 times in order to release these winnings. The maximum amount you can win from these free spins is £100. You can claim the welcome bonus from Wishmaker Casino without needing to enter a bonus code. Most of the promotions currently available at this bright and fresh casino are related to their rewarding loyalty programme rather than deposit-based offers. This means that bonus codes are not required – all you need to do is to keep playing at the site to win. Wishmaker Casino really is making dreams come true when it comes to their live casino offerings. There are so many games to choose from here that not even the most jaded casino veteran could find something to complain about. Roulette, Blackjack and Baccarat all get a section to themselves due to the number of different variations available. Besides these you will find Dragon Tiger, Casino Hold Em, Texas Hold Em, 3 Card Poker and Dream Catcher. Plus there is a VIP section where high-stakes players can play for the big bucks. ‘Visit Wishmaker Casino and you’ll find hundreds of fun and exciting mobile casino games ready on-the-go’ is the promise from this casino. Those games come from top providers which means they will be perfectly suited for mobile play, since modern games are designed for mobile first, and then desktop. Apple, Android, Window or any other smartphones or tablets will let you play the best games on the move. The three most popular mobile games from the many available at Wishmaker are listed as being the evergreen ‘Thunderstruck II’ along with European Blackjack and Roulette Gold games. With licences from the UK Gambling Authority plus the Malta Gaming Authority, you are in safe hands at Wishmaker Casino. They use secure servers that are protected and secured to make sure your personal information stays private. The games on the site are regularly checked and tested to make sure that the games are working correctly and fairly. The FAQ section at this casino is nice and clear, and well-organised, so make that your first port of call if you need some information about how this casino works. If that doesn’t answer your questions, then you can get in touch with the customer support team via live chat. Note that they do not work around the clock, starting at a leisurely 10am and available from then until midnight 7 days a week. Unfortunately, some people will wish they could enjoy playing at Wishmaker only to discover that local regulations prevent them from signing up. If you live in one of these places then you will not be permitted to register with this casino: Australia, Belgium, Brazil, China, Cyprus, Czech Republic, Denmark, Estonia, France, Greece, Hong Kong, Hungary, India, Ireland (sports betting prohibited), Israel, Italy, Poland, Portugal, Slovenia, South Africa, Spain, Turkey and the United States of America. To check the full list of excluded countries, go to the terms and conditions of the Wishmaker Casino. Whether this casino will make wishes come true really depends on your luck at the tables and slot games. However, this is a nicely designed online mobile casino with a lot of good things going for it. Not least of these is the very nice loyalty plan which is open to everybody who registers with Wishmaker Casino, regardless of the size of their bank balance. 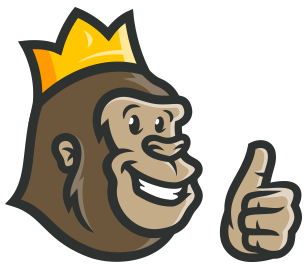 The Casino Gorilla is a monkey of the people; he prefers to see a rewards programme that everyone can join. There is also the not inconsiderable matter of the thousand plus games on offer here, the excellent live casino and the secure mobile and desktop playing environment. All together that makes for – almost – as good an online casino as you could wish for! Would give a 100 points to their theme and design. It seems very modern and minimal and everything looks clearly laid out. Even the mobile version was easy to play on. I loved the generous welcome offer that was provided for the new players like me. It helped me to get a slight boost from the very start and now, I just can’t get enough! Make a wish and it can cone true here! This casino is easy to use an has a super free spin bonus. I love the selection of blackjack games that are offered.